Long known as the “White Lot” for the whitewashed fencing which went along its undeveloped property lines, the Ellipse was laid out in 1791 by the District of Columbia’s designer, Pierre L’Enfant. The current home of what is dubbed, the “National Christmas Tree,” the Ellipse served as the location for this historic first: the original lighting of the Christmas Tree, a tradition begun by none other than President Calvin Coolidge on December 24, 1923. This historic first was the result of a collaborative effort by the Washington area Community Center Department of the public schools who launched the event, the Society for Electrical Development and the Electric League of Washington who engineered the battery power source and button (at the end of the long cord in the President’s hand) which illuminated 2,500 red, white and green bulbs, Paul D. Moody of Middlebury College and Senator Greene of Vermont who donated the 48-foot balsam fir cut and transported all the way from Coolidge’s home state, the Office of Public Buildings and Grounds who coordinated with Grace Coolidge’s permission to hold this event here and the President’s acceptance of the gift and participation in its lighting. The historic quality of what happened here is equally as significant as what did not happen. The push to place the Tree on the grounds of the White House itself was declined because the Coolidges insisted upon a deliberate removal from the Presidential residence so that it would serve as the neighborhood tree, rather than another fixture assuming Federal control. 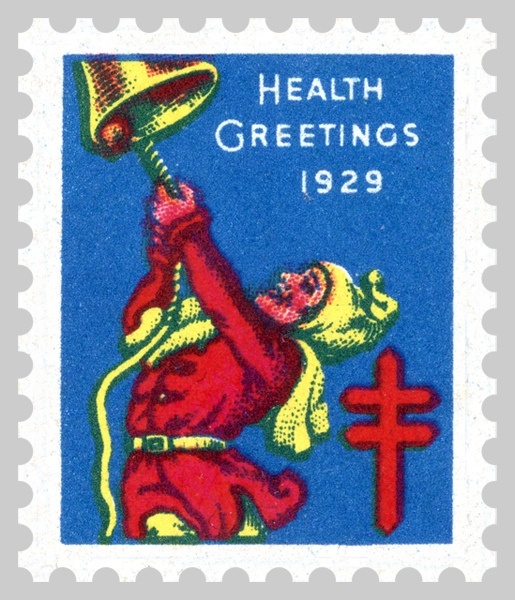 It was to benefit the people who lived in the District and as such, it was more properly renamed the “National Community Christmas Tree” in 1924. 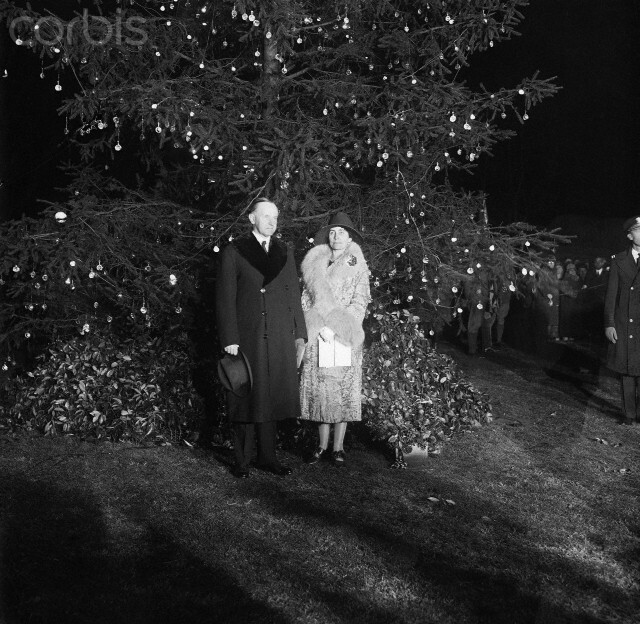 The 5 to 6,000 people present on this occasion in 1923 saw President Coolidge light the tree and leave with no words and no fanfare after but a few minutes. The real highlight of the evening was meant to be the singing of carols on the North Portico of the White House at 9PM. 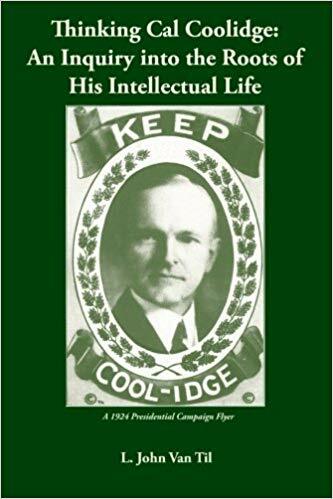 What mattered more to the Coolidges was not the pomp and ceremony but the spontaneity and gratitude of each American able to keep the occasion in one’s own way. The opportunity to serve was central to their observance of Christmas. 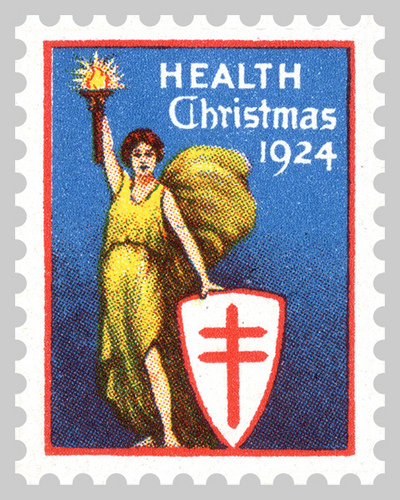 The first year they would see 500 holiday baskets distributed through the Salvation Army, Grace would send more than 50 bouquets to the shops downtown who had helped her find presents, and as a family they visited the veterans recovering at Walter Reed Hospital in Washington, by Presidential authorization even entertaining the troops with the moving picture, “Abraham Lincoln.” The fight against tuberculosis was also a signature effort for the Coolidges, who not only raised funds for the Red Cross and National Tuberculosis Association through the purchase and sale of Christmas seals during the 1920s but continued to do so in retirement. It seems Rob Roy wants to buy some Christmas seals, 1924. 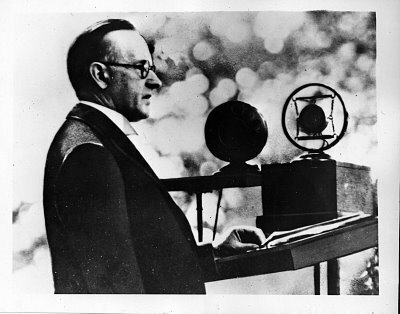 Two crucial changes, in response to President Coolidge’s requests, would take place in 1924: 1. The American Forestry Association would replace the ailing balsam fir of the previous year with a new living 35-foot Norway spruce from New York; and 2. 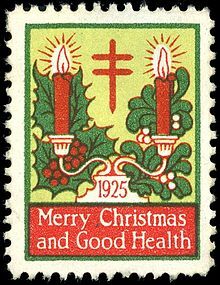 The lighting of the Tree would move to Sherman Plaza, so that, as Forestry Association officer G. H. Collingwood observed years later, the ceremony would be kept “spiritual in character, from reaching carnival proportions.” Coolidge had advocated the use of living trees as neighborhood landmarks that spring and it consequently helped define again an historic observance of Christmas in 1924. 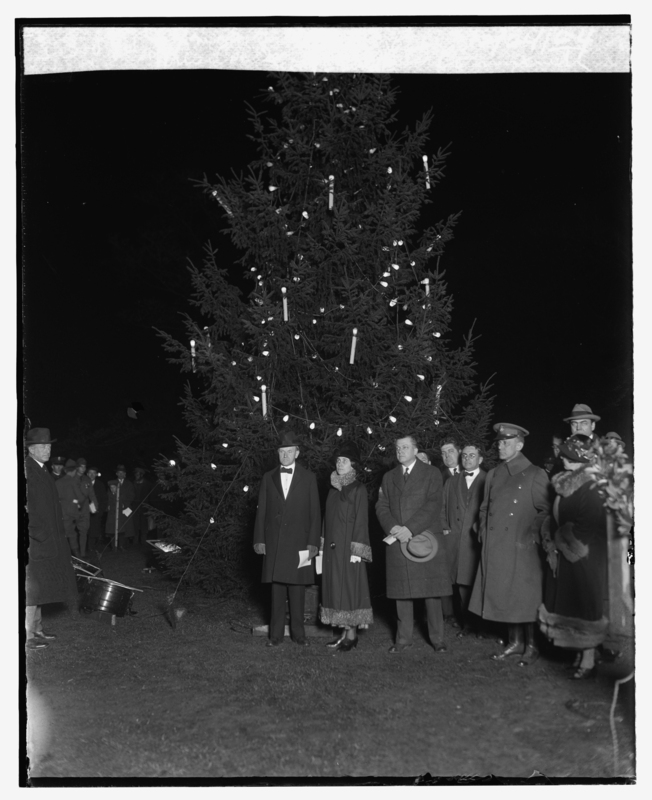 The lighting of the Community Christmas Tree, December 24, 1924. 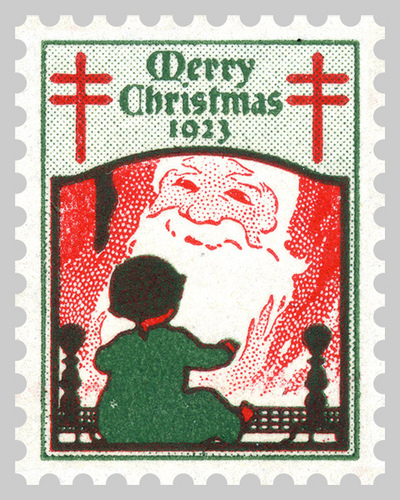 The Coolidges after the Christmas Tree has been lit, December 24, 1927. By April 1926, President Coolidge had designated the massive sequoia “General Grant” as the “Nation’s Christmas Tree,” not the Norway spruce he would light up without a word (for the third straight year) that December. 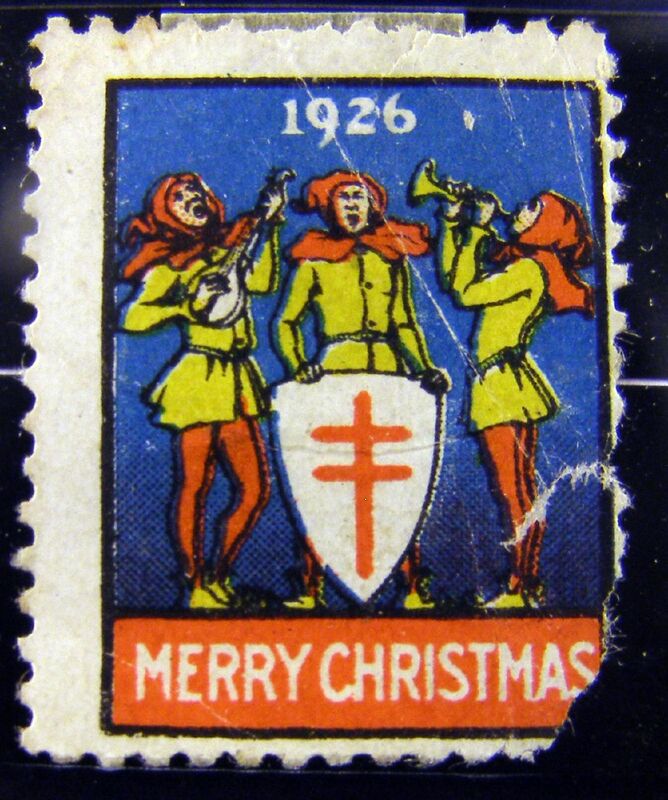 By December 1927, the Christmas program included more music from the U.S. Marine Band, the Interstate Commerce Commission Glee Club and the traditional favorite, singing of carols on the North Portico. It was historic yet again for another reason. 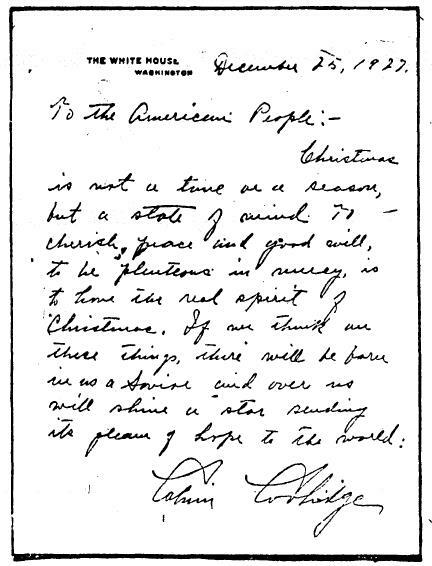 President Coolidge would give his first Christmas Message. Published in newspapers across the country on Christmas Day, the President finally spoke to the American people. Even then, it was brief and in characteristic Coolidge style. 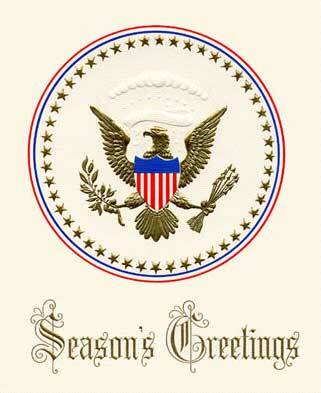 It is said that 1927 also marked long-absent return of formal Christmas cards sent from the Coolidge White House. 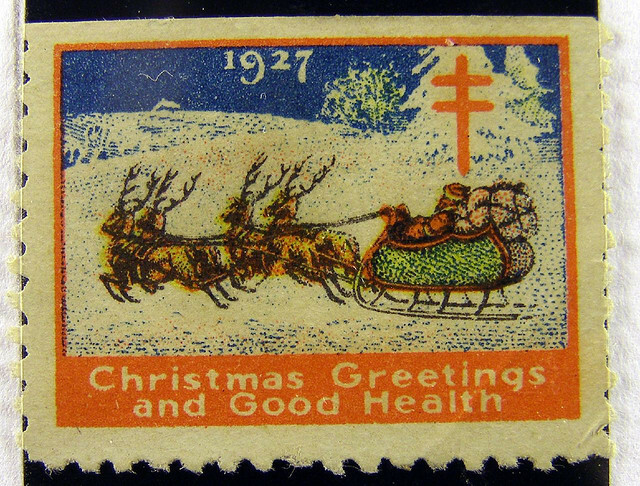 The Christmas of 1928, the Coolidges’ last in Washington, would establish another historic first. This time, the President would speak on the radio. Still insisting on the principle that Christmas remain a personal and local occasion, he would not wax eloquent, bluntly declaring, “In token of the good-will and happiness of the holiday season and as an expression of the best wishes of the people of the United States toward a Community Christmas Tree, in behalf of the city of Washington, I now turn on the current which will illuminate the tree.” With that, fifteen minutes after his arrival, he went back the White House. 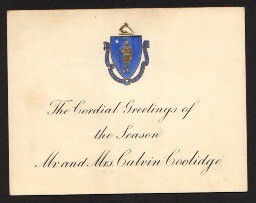 A Christmas card signed by 17 business organizations was given to Mrs. Coolidge and the First Couple went back to the Presidential residence for what was to be the primary highlight of Christmas on the grounds: singing carols on the North Portico. A celebration with refreshments for eighty guests concluded the evening and closed a chapter of simple, yet joyful Christmas traditions, both new and old, cherished during the Coolidge years. 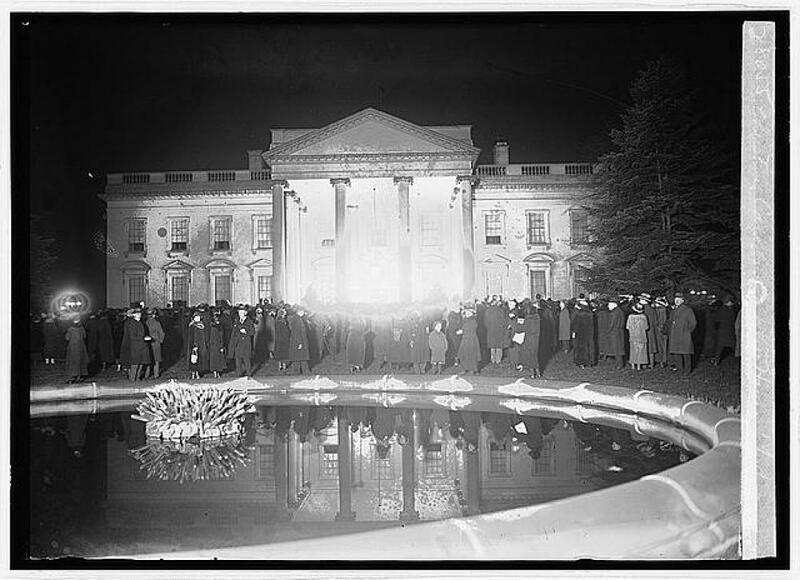 The singing of carols at the North Portico of the White House, a main feature of the Coolidge years, is pictured as it looked that first Christmas of 1923. 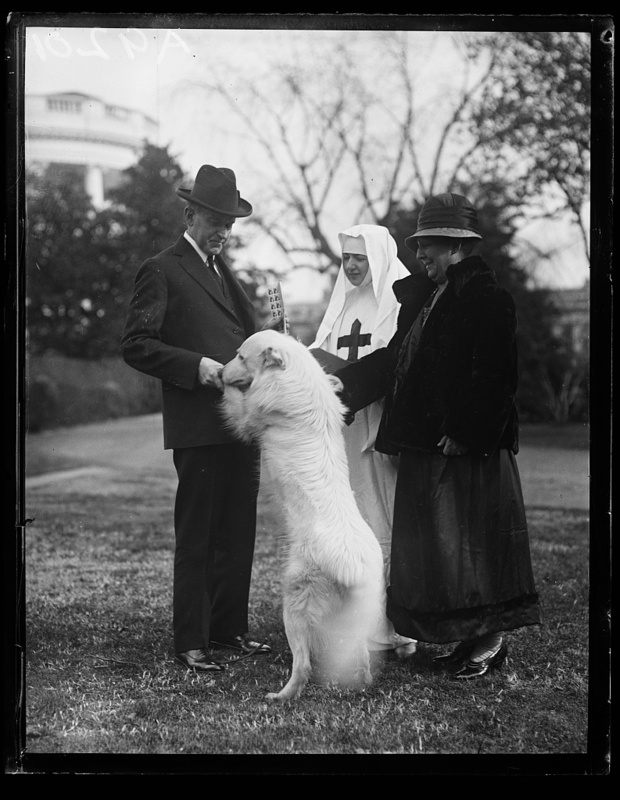 Looking back on the Coolidge influence on Christmas, keeping it local and personal.